Yes that is right this saturday we are filming our 3 video off the new Cand Days album which is in stores and online now over @ Itunes and Cdbaby.com as well as http://www.marz.ws The song is Called “FREE” and we are shooting it here in Chicago. 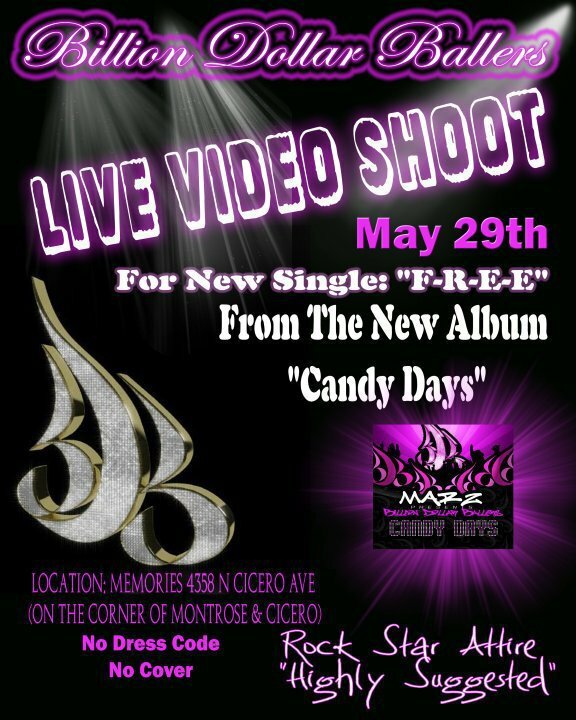 You must be 21+ to come out and join and get ur cameo on in the video peep flyer below…..
← CANDY DAYS IS HERE!!!!! !